It's that time of the year again, whether you look forward to it or not. Instead of creating another outfit post, I decided to make a yummy cocktail instead, since it's also been a while after my last one. 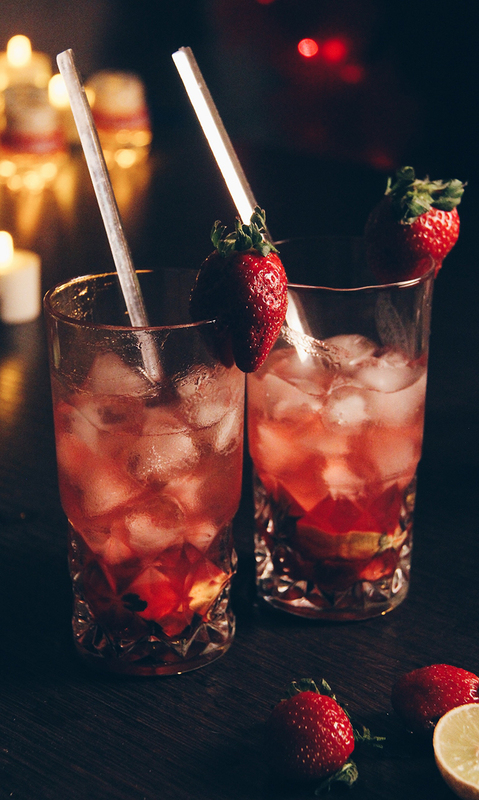 This cocktail is perfect for date night which involves a DIY dinner, and also is perfect for a girl's night in. 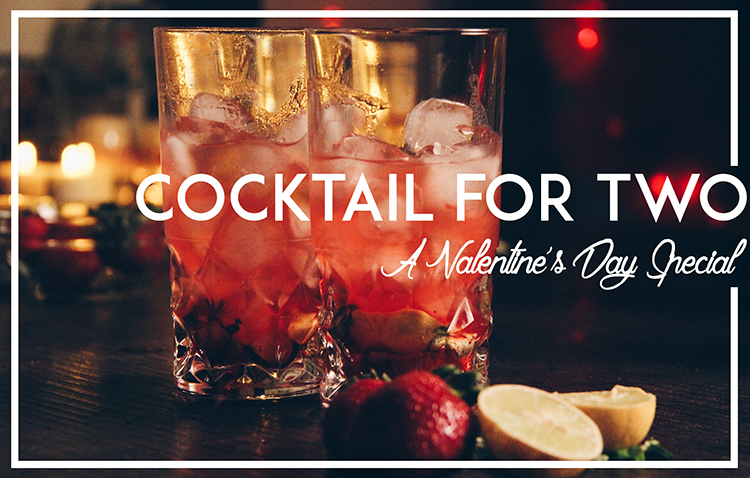 My Valentine's Day cocktail is an easy to make drink, and doesn't need a lot of ingredients. The only spirits used are vodka and Cointreau. 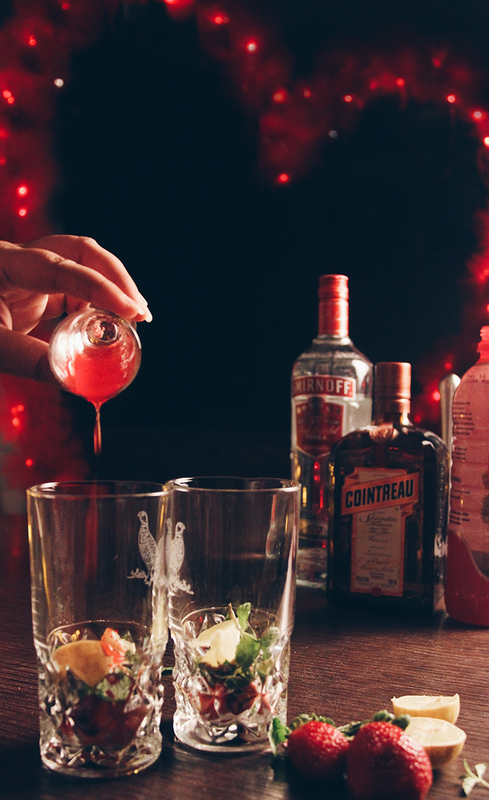 If you cannot manage to use Cointreau, you can use either Grand Marnier or Triple Sec. 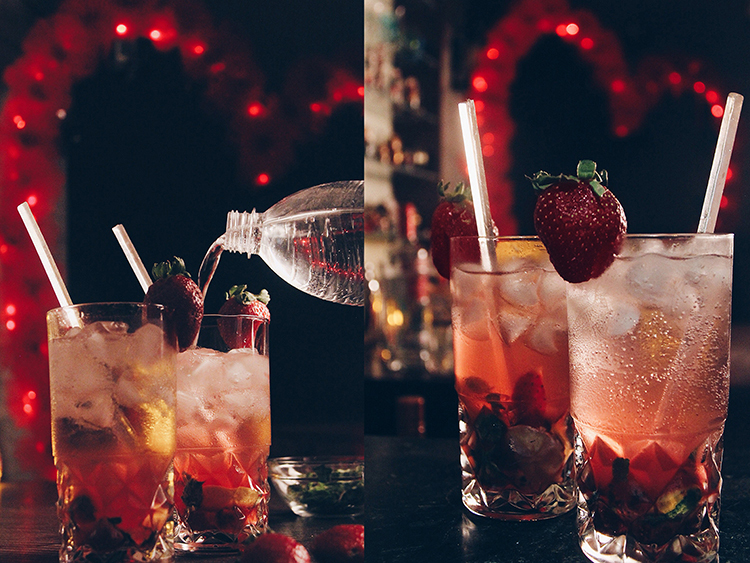 Chop three strawberries and drop into both glasses. 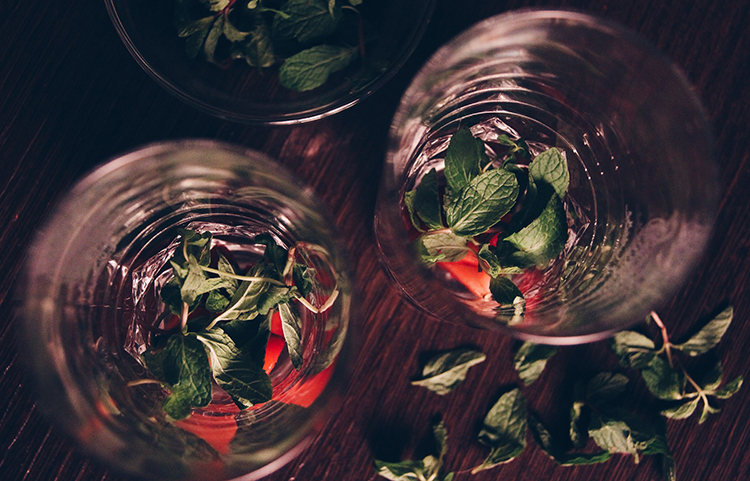 Add a couple of sprigs of mint leaves. Chop up two lemons and add about 3/4th of a lemon into each glass, after deseeding. Top off with half a shot glass of strawberry concentrate and the muddle the contents. 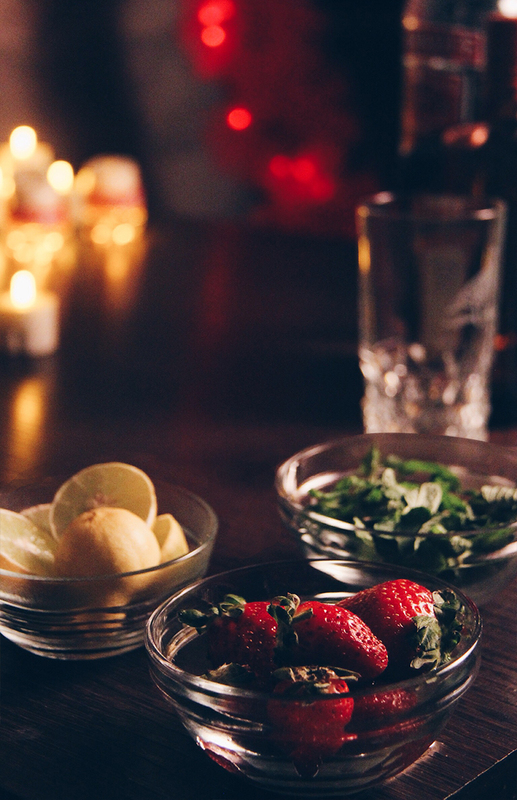 Add a shot of both vodka and Cointreau, into each glass. 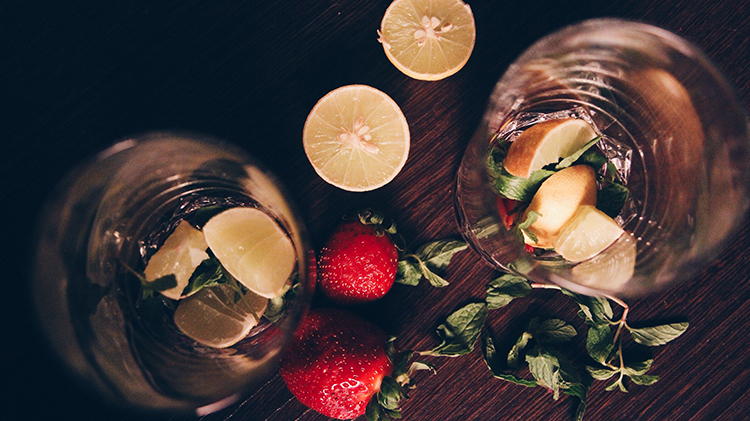 Add ice cubes and top off remaining drink with club soda. 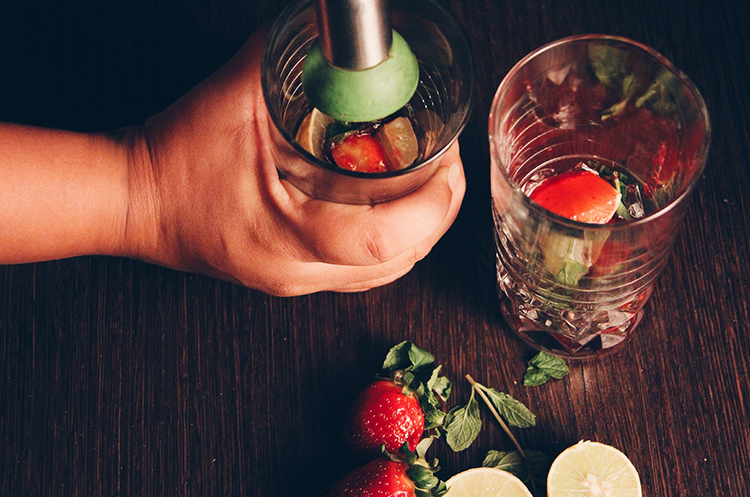 Garnish with a strawberry and add a stirrer. 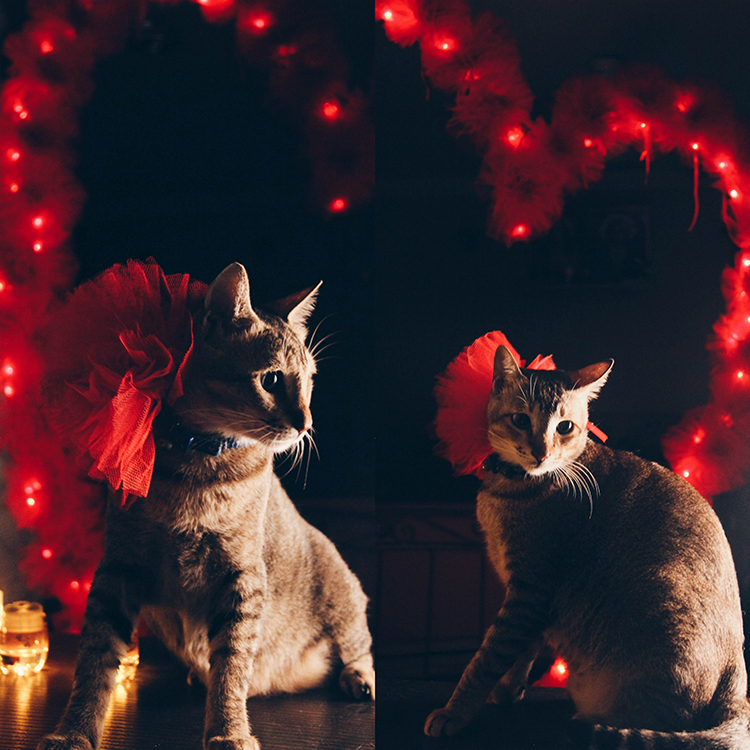 Images by Roxanne D'souza and Patrick Miranda.